So if people don’t want to eat your cake, I guess that’s a good thing! Mind you, we’re talking about the adults at the party here. Sure, children love a good theme and cake adds excitement to that, but at the end of it all, kids don’t really care about the damage they’re about to cause. They just want some of that sweet cakey goodness between their fingers as quick as possible! 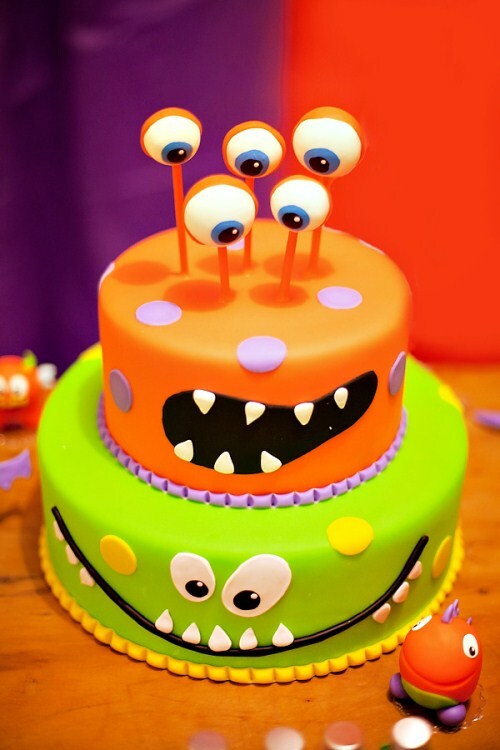 As soon as the kids at the party realise your creation is ready to be eaten, there will be no stopping them! 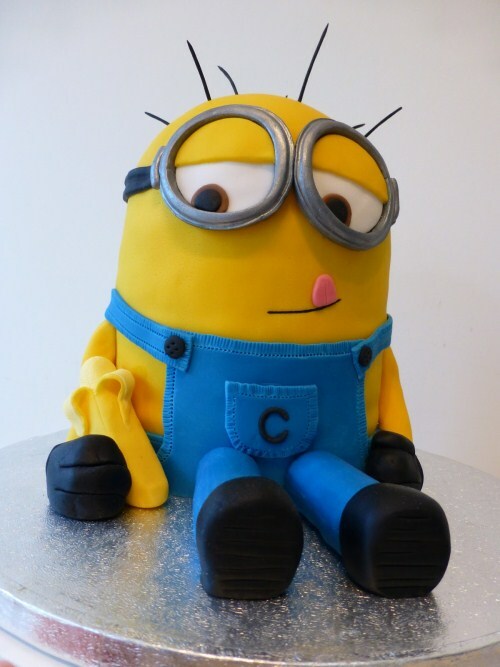 But be sure to get some cake photos taken before those little fingers start doing their squishing! And I’m not just talking about the typical photo that’s taken when everyone’s singing ‘Happy Birthday’. I’m talking about putting the cake in a place where there is no rubbish surrounding it and where there is fantastic lighting. Your masterpiece deserves some food styling! Before you take the cake to the birthday party table for everyone to enjoy, capture the memory forever. Why? 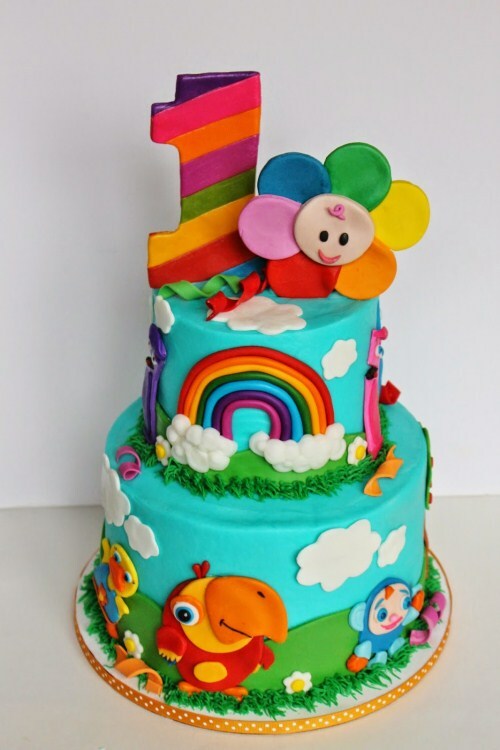 Because a cake as amazing as one of the ones we’ve featured below will be remembered forever by your little one. In later years they will want to enjoy every detail of that delicious, creative amazing cake. As will you! 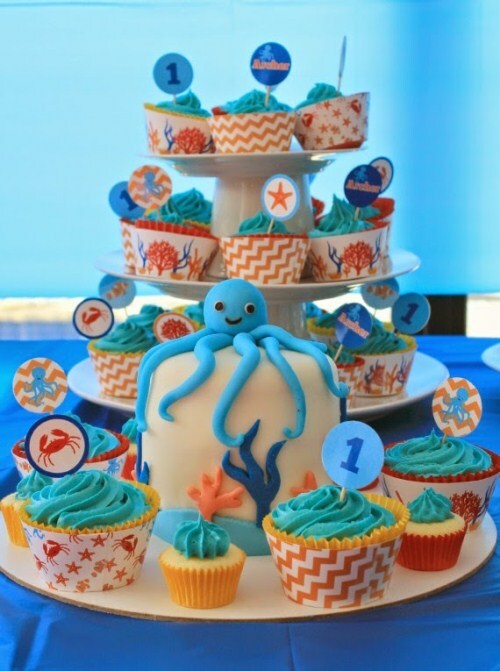 These White Chocolate Mud Cupcakes from Love That Party are perfect for a child of any age who loves the ocean and all its amazing creatures. Don’t stop at just a cake, though. It’s an easy theme to decorate to – think blue streamers, blue balloons and perhaps a feature sand pit with some small splash pools. From Cupcake Jemma. This is a crowd favourite, each and every time and this video shows you exactly how to make it happen. Seen some rainbow cake disasters? I have! This one is fool proof! From Leela Licious. 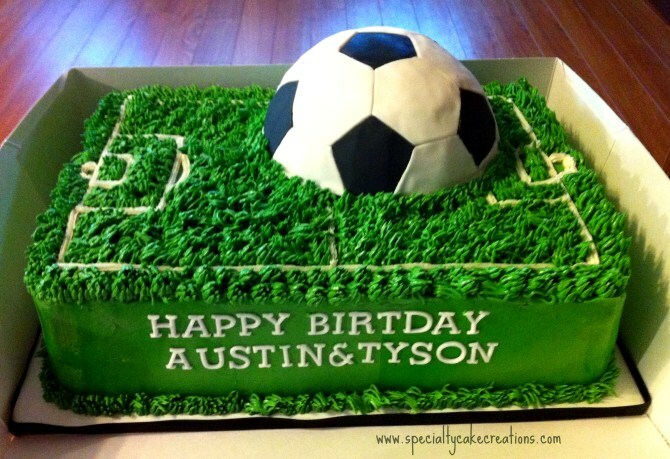 Just be sure to spell ‘Birthday’ correctly and you’ll score the winning goal with this sporty soccer ball cake. Watch the crowd go wild! From Hostess with the Mostess. Surely inspired by Monsters Inc., the icing on this cake is simply stunning. Can’t you just imagine your five year old chewing with glee on one of those eyes? From Raspberri Cupcakes. Move over rainbow cake, the colour in this delicious number is featured in the icing in between the cake layers. 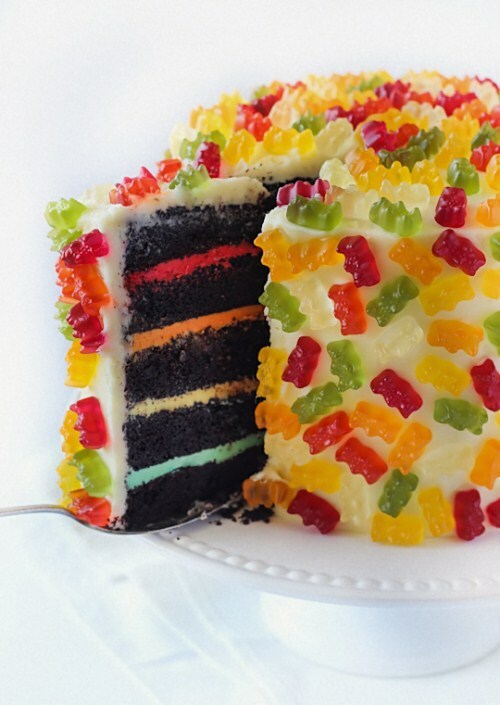 Top with as many gummy bears as possible and you have yourself a cake that will be spoken about for birthdays to come. From Paige’s Pantry. 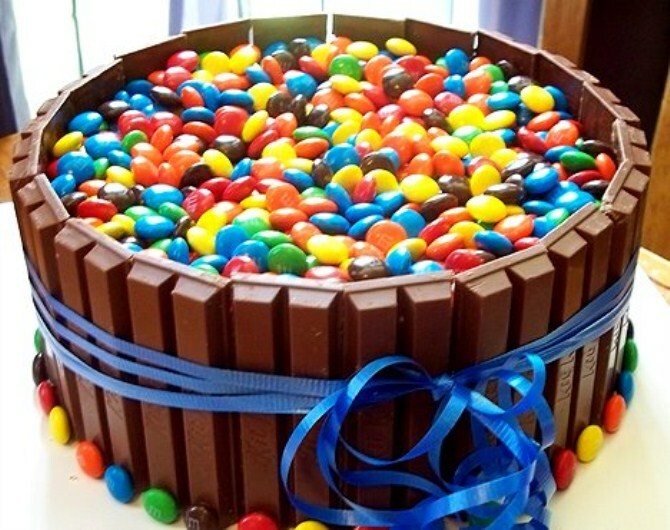 Who else wants to dive into this swimming pool of M&Ms and sit on the edge nibbling on Kit Kats? Pick me! Pick me! From Cake Craft World. As much as we might want it to, Frozen is not going anywhere anytime soon. In fact, this blockbuster is bound to stick around for generations to come. Time to master the art of the Frozen cake! Here’s a video that will help you do just that. By Karen Tack. Are you new to cake moulding? 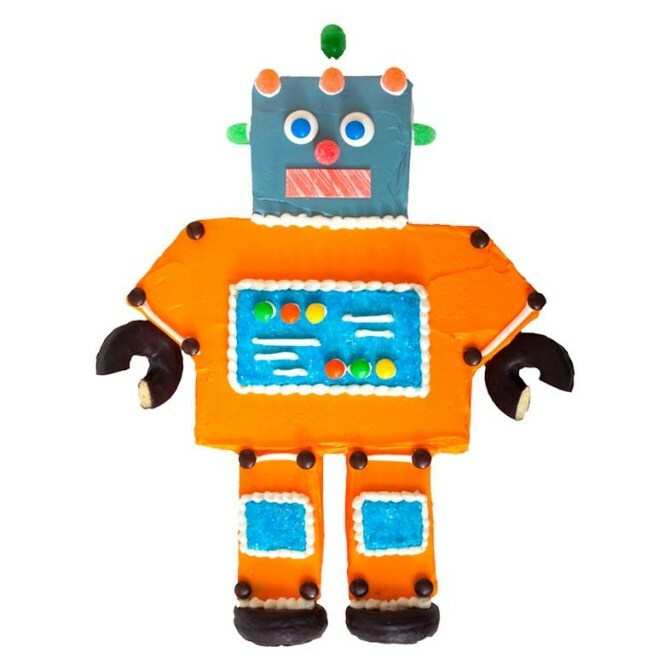 Here’s a great cake for beginners. Who’s the lucky one who gets to eat the donut hands, that’s what I want to know. The cook, surely! By Valerie Barrett. Fairy castle? Princess castle? I’d rather be a fairy princess than a normal princess any day (they can fly! ), so perhaps hire a fairy entertainer to come along and treat the kids to a show and some face painting (a professional one, not me!). From What an Awesome Cake. This little dude needs no introduction. What is it with kids and minions anyway? Don’t ponder too long. Just make the cute cake and move on to more pressing matters. From Wilton. These are simply perfection. The hedgehog is my favourite, but it’s not up to me to choose is it? If you want to have a go at fondant rather than moulding, these little guys give you that opportunity. 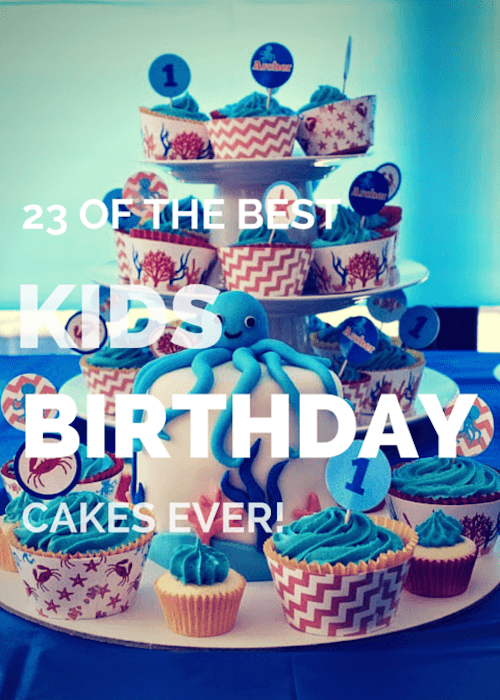 So just ask your little one which cake he or she would prefer and start getting crafty! From Bronnie Bakes. 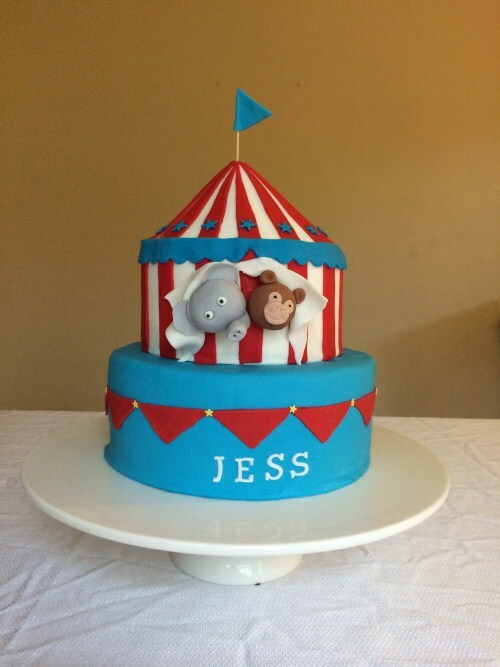 A little bit of moulding and a lot of fondant and you’ve got yourself the cutest circus cake. This theme is just begging you to hire a magician, a puppeteer or an animal farm – or all of them for the biggest backyard circus the neighbourhood has ever seen. From Pinterest. 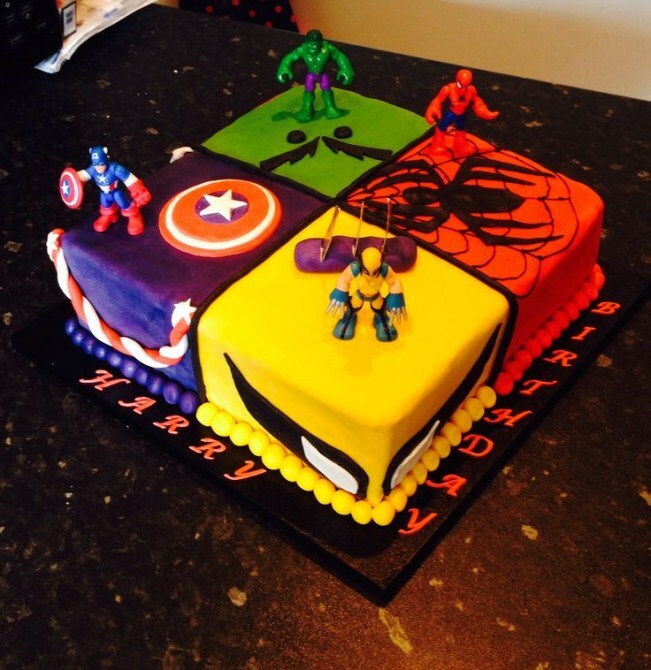 If your little boy can’t choose who his favourite super hero is, then this cake is your answer to all his prayers. Invite his friends to dress up in super hero outfits and you’ve got yourself a party! I think one of these corners is begging for a Wonder Woman to be included, don’t you? Recipe by Emma Braz. 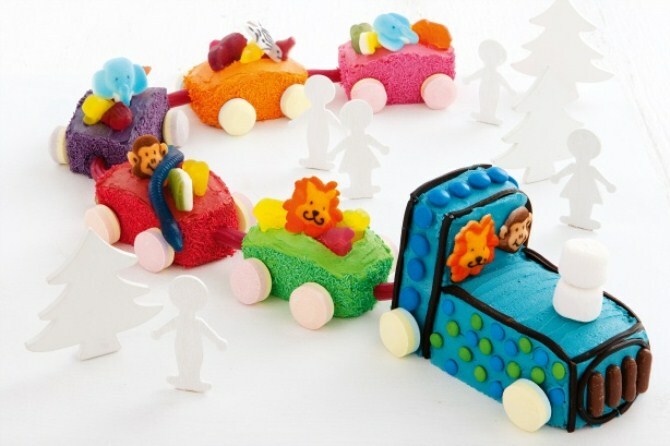 Everyone loves a birthday cake train. In fact, it’s surely a ‘must have’ at least once in a child’s life. They look fancy, but they’re actually quite easy to construct so don’t stress! Just have a go! From Manu’s Menu. 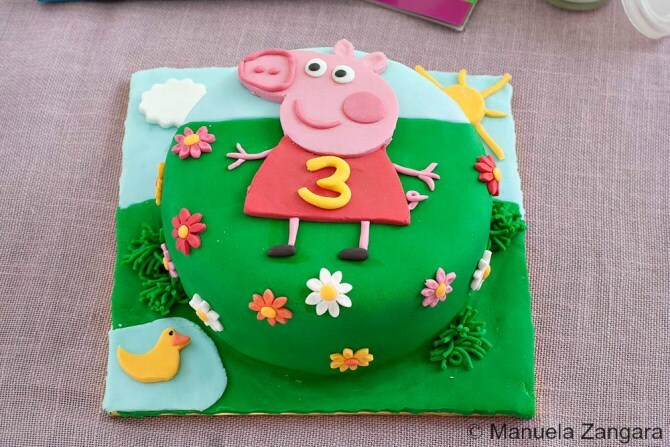 This pig needs no introduction, so craft some colourful fondant and use the cake and the cake board as your canvas. Your little one will be as happy as a pig in mud. By Charles Schiller. Even though this cake seems to completely defy gravity, it’s well worth checking out the recipe to discover all the secrets. 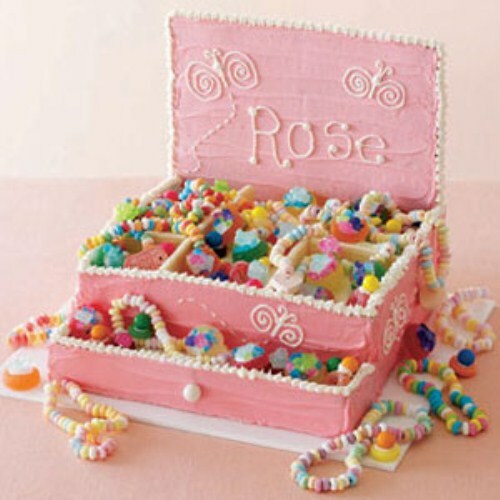 To me, this looks tricky but how awesome would it be to be 8 years old with a treasure chest full of necklaces and rings made of sweets? Well worth the effort. Recipe by Liz Macri. 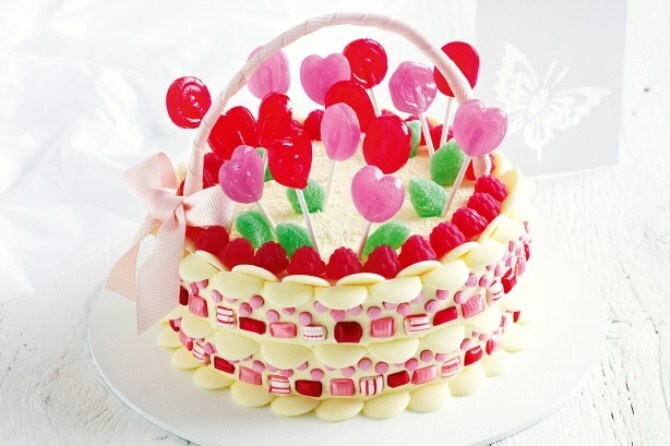 This colourful candy cake would probably suit an older age group, perhaps 10-13. The rock candy, lollipops and sweets galore require some semblance of self-control that little kids may not have mastered yet. From Bake and Make with Angela Capeski. 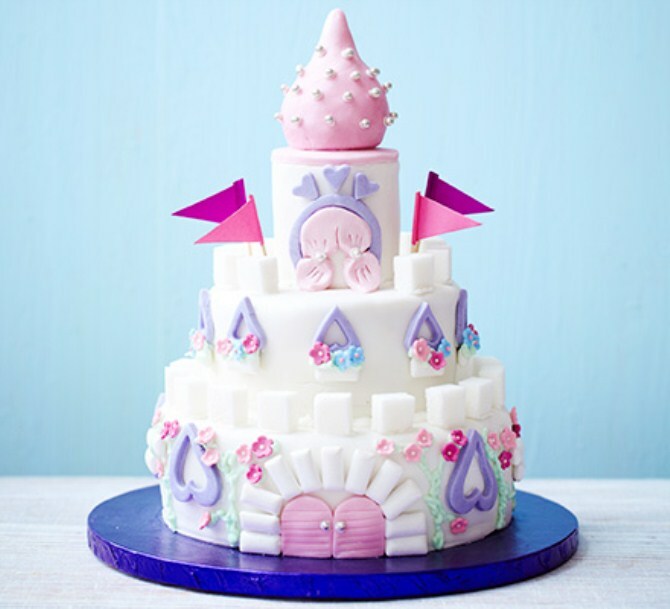 A fondant spectacular! Check out the video to find out what those turtles are made of! From The TomKat Studio. 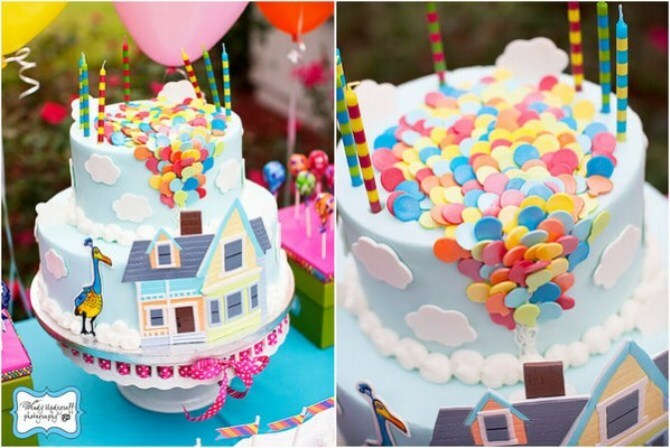 Inspired by Pixar’s movie ‘Up’, this cake depicts Kevin the bird and the house that’s being carried by balloons. A magical treat! From Belle of the Kitchen. Not up for the challenge of moulding and fondants? Don’t despair. 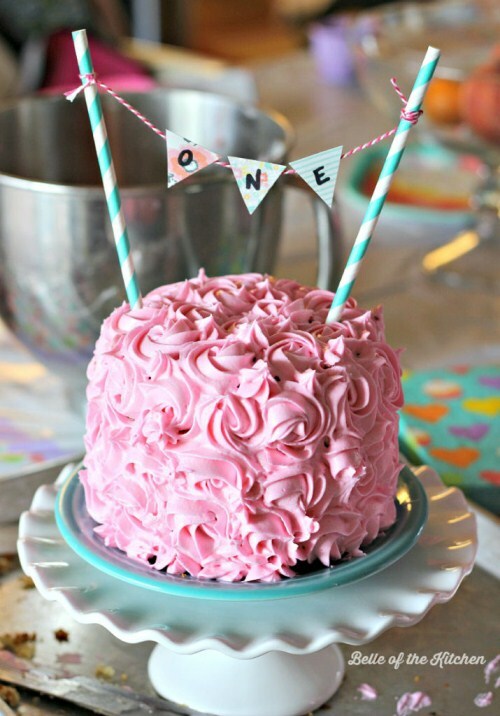 Go for something simple like this Pink cake and add a cake topper! The colour choice is all yours. By Katie Winfrey. 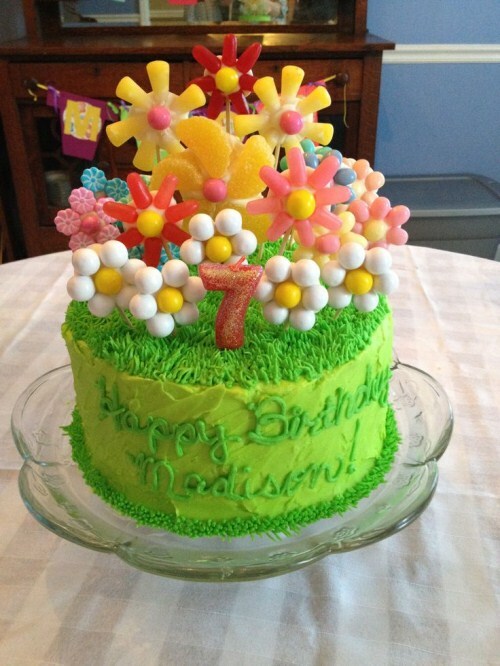 Because who wouldn’t want a garden made of candy? From And Anything Sweet. See that rainbow section? That’s a smash cake. That’s the source of all the glorious photos of baby getting up close and personal with their first birthday cake. The rest is for the guests to enjoy. Such life! Such colour! How can it possibly all end in such devastation?! From Enchanted Mommy. 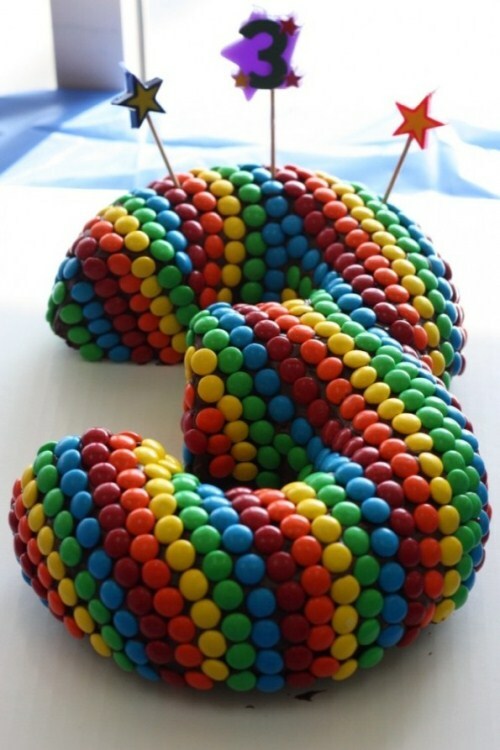 When the tough gets going, the going get number cakes with smarties! Too easy! Inspired to create a lasting memory for your child’s special day? To remember all that effort for years to come, be sure capture the celebration on camera and create a colourful canvas collage.